Today, the restive northern regions of Lombardy and Veneto will vote in a non-binding referendum on greater autonomy from the central government. There’s long been a political divide between Italy’s rich north and poorer south. 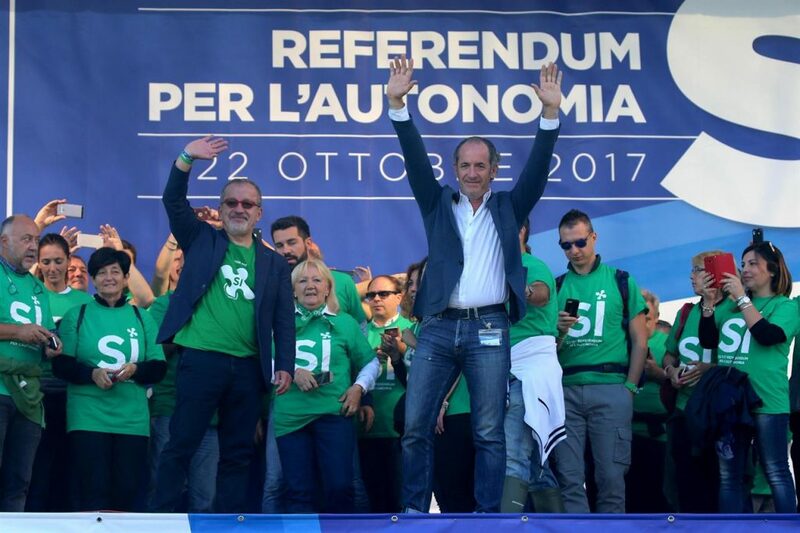 Both Lombardy and Veneto have governors from the far-right Northern League, which has sought full independence from Italy in the past. Lombardy and Veneto—home to Milan and Venice respectively—account for almost a third of the country’s economy and a quarter of its population. Tax is the main grievance; Lombardy annually sends $63 billion more than it receives back from Rome. The anticipated “yes” vote will prove a powerful argument to push for change. Despite the rumblings, there is no strong sentiment to break away from Italy. Even the organisers do not want independence; they want a better financial deal.